As a counterweight to the Christian propaganda of "Faith of our Founding Fathers", I wanted to show this documentary. 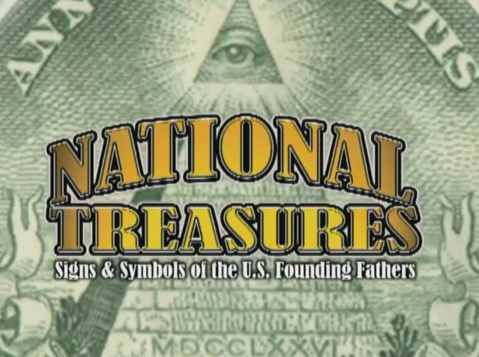 In this docu William Henry tells about the good intentions and the long term vision of the Founding Fathers. Do Americans not know their country was founded as a Masonic state? A state in which the church had nothing to say! "It's a religion that makes half of the people ingnorant fools and the other half hypocrites." When you know about prince Madog from Wales who sailed to America in 1170, and the Knights Templar who were there in 1362, (see the Kensington Runestone) you begin to understand how, what we call history, is nothing but another Christian fairytale. All these lies are put in place to promote Christianity as a religion who care about the indigenous people. We should always question institutions and religions who teach their followers to believe in things which are scientificaly impossible.